Prophecy. Though they’ll counter w/”algae blooms”. And the sleeping masses will believe the pseudo science so they can keep on living their lives uninterrupted until the flood comes & destroys them all…as it was in the days of Noah (Matthew 24:37-39). 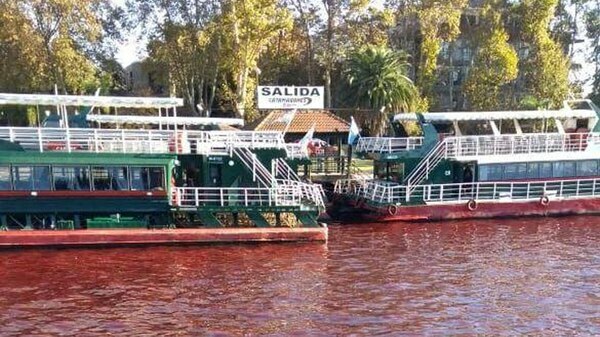 Same can be said w/turning rivers to blood. But as you said, this is also strange. Perhaps it is the magicians of the day practicing w/their spells & science to match God’s miracles through the 2 witnesses to come who will be endowed the power to do so. 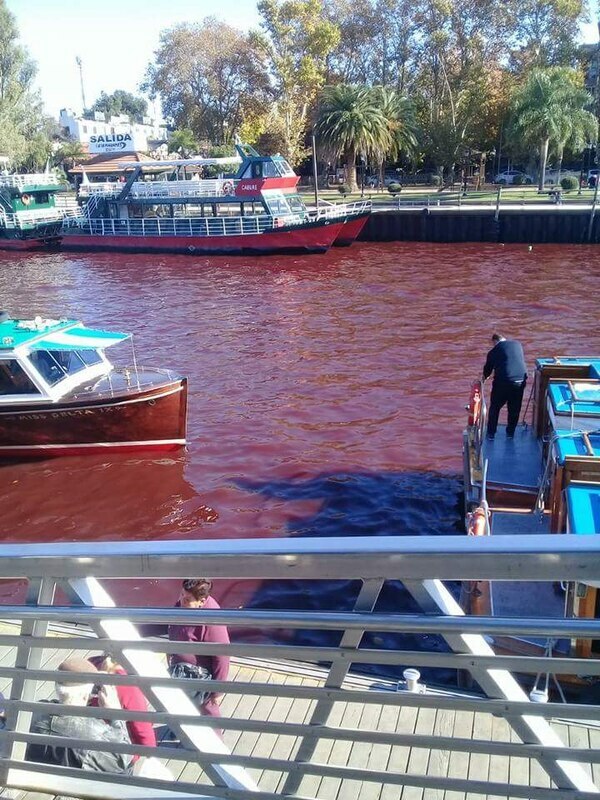 The neighbors and islanders of the Tigre party were surprised from the first hours of this Saturday to find an abnormal postcard in the waters of the 1st section of the Delta , since they were completely red. The peculiar fact was registered from the dawn and the authorities are trying to know the reasons of the particular color. 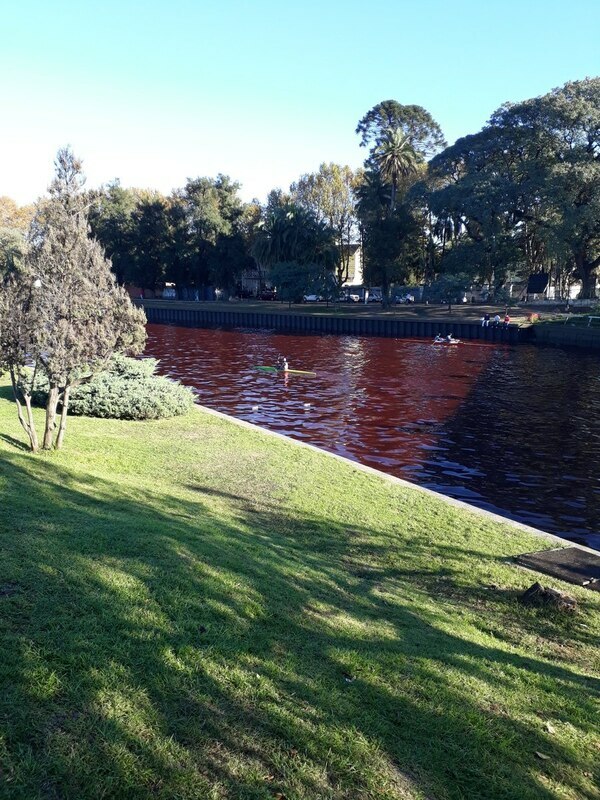 In this regard, the Municipality of Tigre submitted a request to the Provincial Organism for Sustainable Development (OPDS) , requesting that it carry out the corresponding assessments in the face of the abnormal situation to determine the specific causes that have caused this event. In addition, he recommended not exposing himself to contact with fluids and waiting for the authorities to exhibit the action measures, once the physicochemical analyzes are carried out. To learn the reasons that led to the strange change, samples were taken and sent for analysis. According to the first information, the results would be available in 72 hours , sources from the municipality told Infobae. For its part, the Riccitelli Group , an environmental control and sanitation company for the fluvial and coastal areas of the Delta, issued a statement in which it states that it activated the security protocols. And he explained that this modification of tonality may be due to proliferations of different types of microalgae or the presence of contaminants. 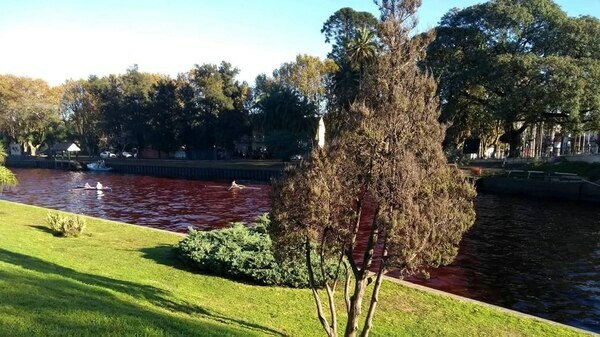 In line with this, Fabián Mazzanti , member of the Board of Directors of the Water Authority of the province of Buenos Aires, presented two possible reasons: “The illegal dumping of some upstream industry or the flowering of red algae , which at this moment we are discarding , since the red has practically disappeared and the algae is hard to leave “. The official said in dialogue with the TN channel that tomorrow a textile industry will be raided which they suspect may have overturned substances . “In case our suspicion is true, clearly it is going to proceed to a preventive closure until we have reliably determined what was going on and its danger,” he said. Next Article Oduga Stream In Nnewi Dries Up; Emits Flames, Offensive Odor!